Something happened in the early 2000s that gave us Tommy Wiseau’s The Room (2003), James Nguyen of Birdemic (2010) fame’s first film, Julie and Jack (2003), and Neil Breen’s first film, Double Down (2005). All three directors financed and produced vanity projects that transcend their small origins to become something akin to outsider art, they are films that are laughed at, but underneath it all have an unmistakable earnestness. While Wiseau and Nguyen have largely decided to bank on their cult status, Breen still seems intent on demonstrating his need to save the world from some imagined technological nightmare to come. 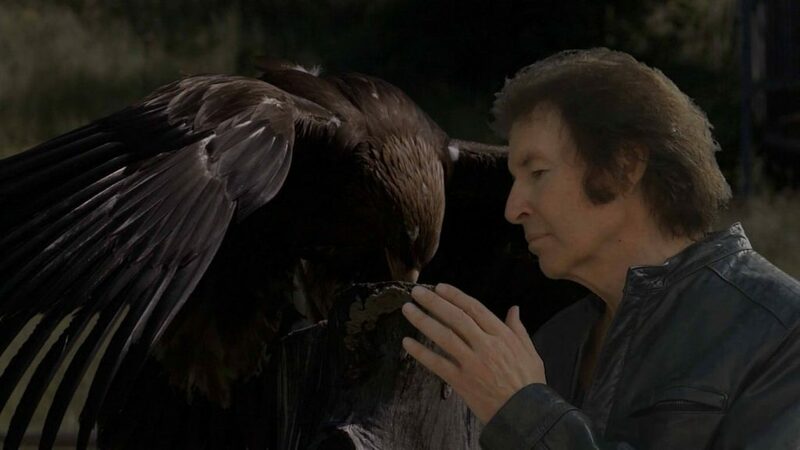 In Twisted Pair, Neil Breen plays both Cade and Cale Altair, twins given superpowers by a mysterious force to battle terror and injustice. Cale falters for some unexplained reason and is stripped of his abilities. Both of them still attempt to fulfill their destiny. Cade is an invulnerable super-agent busting up a ring of techno-terrorists, while Cale is reduced to kidnapping and torturing ‘corporate businessmen’ for days on end. Breen’s wandering virtually nonsensical plot feels like a slightly more polished version of something Carl J. Sukenik (Alien Beasts (1991)) might toss out. Like all good art, Twisted Pair allows the viewer a glimpse artist. Cade is a typical Breen character, invulnerable, highly skilled, smarter and more enlightened than anyone around him. He is the sole person in the world who can save it. Cale is a dark reflection of this, drug-addicted, violent and cruel. Both men know their place in the world but lament the burden of being so righteous. In another common Breen element, women in their lives betray both men. 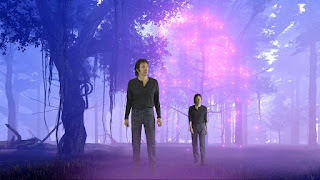 The majority of the movie consists of Breen wandering around a small college by himself or interacting with stock footage against a green screen. There is something profoundly lonely about his isolated existence but at the same time it is all so absurd. Do you want quirks in your weird outsider vanity film? Twisted Pair is filled with them. Cade leads some stock footage of soldiers to safety while the same two kinds of digitally added explosions occur again and again. Cale sports a stunningly fake beard that is only upstaged by another actor sporting an incredibly fake mustache for two separate characters. You will witness the slowest quick draw in cinema history. You will meet a transient feeding rubber rats who is later stabbed and doesn’t seem to mind all that much. Just when Twisted Pair seems to fall into a lull, something happens to confuse and delight the viewer. Viewing Twisted Pair is a bizarre experience, every choice made is eccentric, and every performance is stilted and hampered by terrible dialog. Underneath it all, Breen has a message he is very passionate about, but what exactly that message is supposed to be is clouded by his messiah complex. 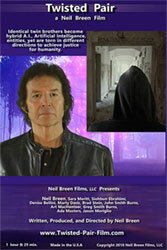 You will never witness anything like Twisted Pair and I can’t decide if that is a good thing or not.